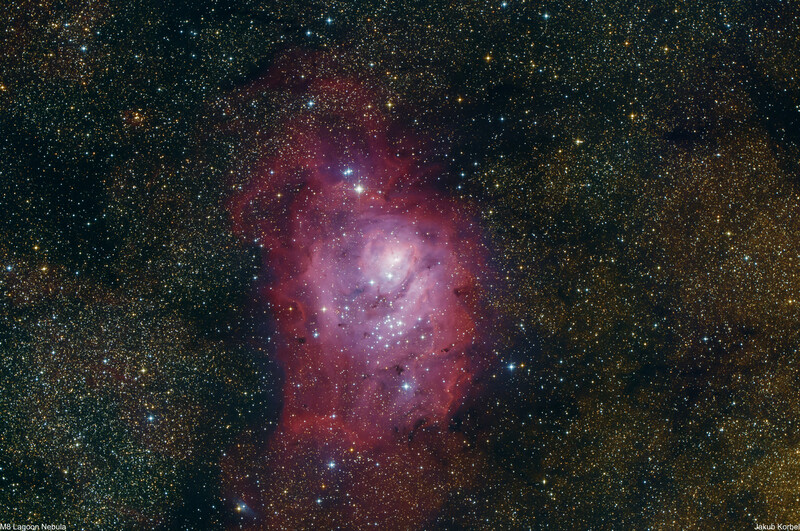 Lagoon nebula (sometimes called Messier 8) is a giant intergalactic cloud of ionized Hydrogen. The nebula is located in constellation Sagittarius and it’s 4100 light-years away from Solar System. It belongs to one of the brightest nebulas visible from northern hemisphere. I have to admit, this nebula was the main reason and target of the trip to Milos and it was the first deep space object captured there. When I processed the picture I was so happy that the nebulosity is so clearly visible without any narrow band filters. Well, mission accomplished.